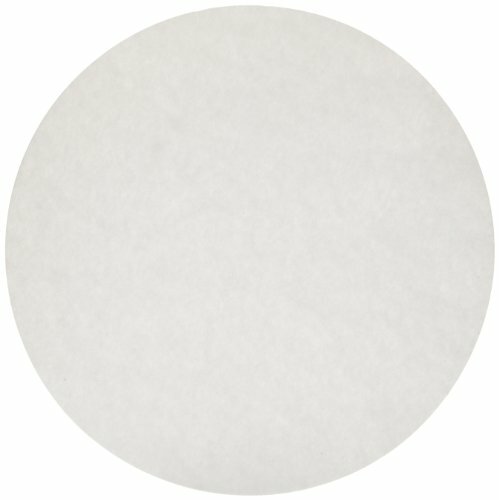 Ahlstrom's qualitative grades of filter paper are, by definition, recommended for use in analytical methods, which determine or identify particulate constituents of a mixture irrespective of the amount present. Ahlstrom offers a complete range of low ash filter papers for general laboratory work that provides you with the correct combination of particle retention, filtration speed, loading capacity and wet-strength. Qualitative analysis, low ash content 0.06 percent, untreated, consistent performance, wet-strengthened grades, custom cut. These grades contain a high level of alpha-cellulose that provides high purity but will weaken when wet. The inherent strength of standard (untreated) grades does not pose a problem when they are used in routine quadrant folded applications. We do not recommend these grades for use in vacuum work or when wet handling is required. Ahlstrom 613 is commonly used in student laboratories. If you have any questions about this product by Ahlstrom, contact us by completing and submitting the form below. If you are looking for a specif part number, please include it with your message.